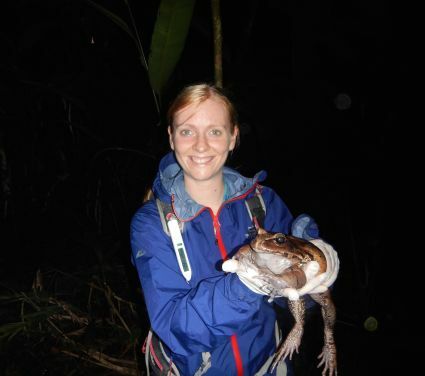 Despite her young age, Dr Heather Reynolds has acted as doctor on more than dozen expeditions. 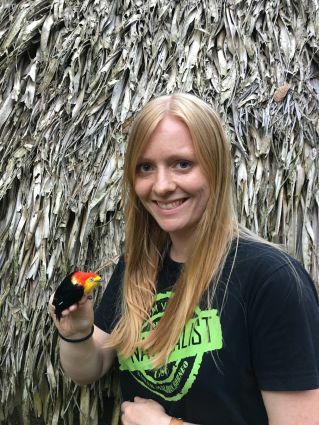 STDZ caught up with her to find out how she got started and the adventures she's had! Thanks Heather for speaking to STDZ. Can you tell us about your medical career so far? I graduated with a medical degree from Cambridge University in 2014, and then decided to head back up north (I’m originally from Manchester) for my Foundation Training, in West Yorkshire. I preferred the proximity to the countryside up there! I chose foundation jobs that gave me a good grounding for expedition medicine: A&E, general practice, trauma and orthopaedics, acute medicine with infectious diseases, general surgery and psychiatry and had a great time gaining as much experience as possible. After FY2, I wanted to pursue my dream of working as an expedition medic, so I took two years out of training to do this. I spent the majority of this time abroad on various expeditions, as a medic, a leader and also doing some travelling. Between expeditions I’ve worked regular locum shifts in A&E, which has improved my clinical experience and funded the travelling. I’ve just started CT1 core anaesthetics training in South Yorkshire and am really enjoying it so far! 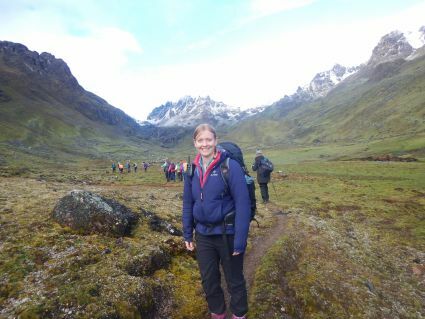 Since graduating, I have been lucky enough to work on 11 expeditions, including jungle expeditions as a medic in Belize, Guatemala, Honduras, Peru, Ecuador and Borneo and also on treks in Peru, Tanzania, Greece and Macedonia and on a humanitarian project in Cambodia. I’ve also worked as an expedition leader in Zambia and Botswana, Borneo and India. Can you tell us about your Summer Mountain Leader qualification? 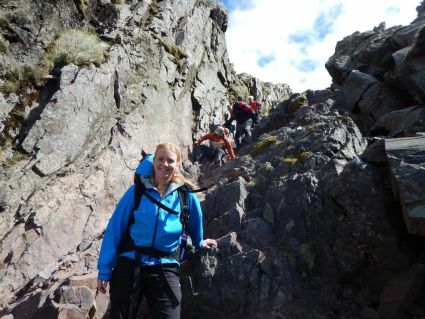 The Summer Mountain Leader qualification is run by the Mountain Training Association, a UK-based organisation who are the leaders in providing training and a standard for people wanting to lead groups in the UK hills and mountains. To achieve the qualification, you must keep a logbook of ‘quality mountain days’ (5+ hours of hiking in significant UK mountainous terrain) and need over 20 of these to attend a 6-day training course, and over 40 to attend a 5-day assessment. You also need some experience in leading groups. The syllabus covers a wide range of skills including advanced navigation (including micronavigation and night navigation), river crossing (although this has been removed since I sat it), rope rescue skills, flora and fauna, first aid, group management, weather and laws and access. I learnt a lot from doing the training and practicing for the assessment – particularly I gained confidence and skills in navigation which have given me a lot more confidence in solo trips. I found that the Mountain Leader qualification has really helped me with the expeditions – not just leading them but also as a medic, since you will find yourself in a leadership position and I have sometimes had to lead the group when it has split. I think it is important to be able to understand the role of the leader and having this training means that I can support and work with them more easily. When and where did you catch the expedition “bug”? Definitely on my first expedition with Trekforce to Belize and Guatemala. I got this chance at medical school on my elective, where I searched for an opportunity to gain expedition experience. I spent three weeks with trainee expedition leaders under a leader and an experienced expedition medic, where they grilled us in intensive jungle survival skills and expedition medical training. We learnt about tropical diseases, water rescue, trauma, cave rescue, altitude medicine and extremes of heat. We would be thrown into several scenarios each day – one where we had to improvise a stretcher and rescue one of our teammates from a river and carry him up a steep hill, and another when we were woken from our hammocks at 3am by another teammates acting out a snake bite! We also got to spend time alone in the jungle with only our belt kit (basic kit including a machete, knife, lighter, water bottle, puritabs, headtorch and some dried rice and oats). We were dropped by ourselves into a random location in the jungle, where we had to set up our own camp, make a shelter, make a bed, a fire and collect water. I had the worst night’s sleep of my life when the tropical thunderstorm showed up the weaknesses in my shelter’s waterproofing! I finally managed to drift off only to wake up with a rat on top of me! Having shivered through the night (I was only in the clothes I had worn with no sleeping bag and it can get chilly in the jungle at night! ), I woke to the most beautiful morning, where I walked down to a waterfall and warmed off in the pristine water and hot rocks. Knowing that I could get through that gave me the confidence and passion to continue challenging myself in extreme environments – particularly my favourite environment – the jungle! I stayed on for a further three weeks on an advanced jungle survival training and trekking programme, where we did a 150km trek through the jungle to some inaccessible Mayan ruins amongst other activites. I acted as the medic for the group and between us we had bot fly, leishmaniasis, malaria and dengue (thankfully I had none of them) to manage! Another day at the office ... Peru! As you look back through your past expeditions, which clinical cases stand out? There are a couple of cases which particularly stand out to me, each time when I had a potentially very unwell patient to manage in a very remote environment. 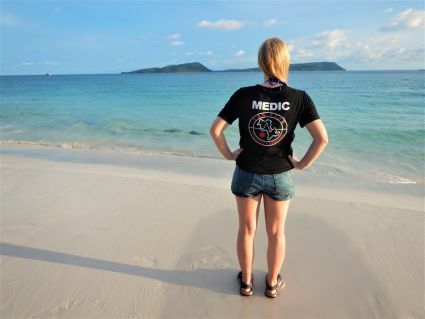 The first was when I went to volunteer as a medic for a charity-run clinic on a small island in Cambodia. I arrived on the island with very little handover and the previous doctor left the next day. I was left with a room full of medical supplies and not much idea of what to do with it. A couple of days in, I got a phone call from one of the ex-pats to say a tourist had fallen 10m off a platform into the sea, landing badly and was in severe back and abdominal pain and was paralysed from the waist down. I grabbed my emergency bag I had prepared the day before and the stretcher, and was taken in a boat to the patient, where she was lying half in and half out of the water. The scene was chaos – several tourists (differing levels of alcohol in them), locals and police trying to take photos and nobody knowing what to do. I used my ATLS training and experience to go in and take charge, immobilising her spine and assessing her at the same time. I chose the most sensible tourists to help me, and taught them how to immobilise the neck and log roll her, so my hands were free to do everything else. Meanwhile I had to get rid of drunk people trying to interfere and I got another person to organise an evacuation for us – this involved bribing locals to take us to the local ferry on their boat, and we had to stretcher her onto the public boat and manage her on the 45-minute crossing, again with police and tourists/locals all coming to see what was happening. We arranged an ambulance to pick her up at the mainland and take her to the only hospital in the area with a CT scanner. Even then, I still stayed with her to ensure that she received the necessary care, and was left explaining the results of her CT scan to her after the doctor left the hospital! In the end, she was lucky to have broken her left 11-12th ribs only – but she could have easily ruptured her spleen or punctured a lung! The second case was while I was working in Borneo as the base camp medic and we had an emergency call come in over the radio from one of the groups deep into the jungle. Unfortunately their radio was not working, so their only way to communicate with us was to press a button and give us a ‘beep’ noise. In a medivac situation, I worked alongside a radio operator and the leader, and we had to think on the spot how to manage the situation with no other comms. I had to quickly devise a system of questions to ask them, where they could give us a yes/no answer, to find out what had happened. I think my first question was ‘is the patient breathing?’ and we went from there. Quickly we discovered that one of the group members had fallen hit her head on a rock, with temporary loss of consciousness, dizziness and confusion, plus a wound that the leader there felt needed suturing (there was no medic with them). It was nearly dark and their only way out was to walk for several hours, and so after further questioning and discussion with the base camp team, we decided to keep the group at camp overnight with regular observations done on the patient (who was already improving) and to evacuate in first light. In the end, they took her to hospital and she was fine, but it was a difficult decision to leave them in the jungle (deciding that the risks outweighed the benefits) overnight, knowing that if anything went wrong, they would not be able to get out! It turned out to be the right call but it was an anxious night for us all! When we met last month, you described your summit day on Kilimanjaro. It was a fascinating story. Can you share it with STDZ readers? I went up Mount Kilimanjaro in November 2016, after I’d finished my FY2 year. It was the third expedition I’d been on (after Belize and Guatemala, and a stint in the jungles of Honduras for Operation Wallacea). I had been to 4000m with no significant altitude problems but not higher than this. I had done my Mountain Leader qualification by then and was confident in my fitness going up and down hills but not at this altitude. We had a group of 28 participants, who had signed up individually to raise money for charity. We had an experienced ML leader and myself to look after the group, plus over 100 porters and guides. I chose the Lemosho route since this had the best ascent profile (although still too rapid!) over 7 days. Despite a few medical issues along the way (which I managed), we all made it up to the base camp at 4900m. We had a large group of very varying fitness levels, so to give the fitter participants the better chance of summiting, the leader split the group in half. She sent me with the slower half first (correctly anticipating more medical problems with them) and she followed an hour later with the other half. We set out on the summit attempt at midnight – the conditions were poor with high wind chill and temperatures of around minus 20 degrees celcius. We knew that we could not have many stops or anybody falling behind due to risk of hypothermia and the leader made this clear to the group. I had a group of 13 and it was not long before our first participant stopped, feeling breathless and exhausted. She had struggled throughout the trek and we decided it would be safer for her to return back to her tent (accompanied by two guides) to rest. Soon after, I noticed one of the participants was a little unsteady (I was walking at the back so that I could keep an eye on everybody) and they started complaining of central crushing chest pain, radiating down the left arm. He looked grey and clammy, and I was concerned about an acute coronary event. I gave him what I had (GTN and aspirin) and asked our head porter to evacuate him immediately to hospital. Overnight there was no helicopter evacuation; the quickest way was to put him on a trolley and run down the mountain with him! I asked the leader whether I should go with him, but she needed me to stay with the rest of the group, so I had given clear instructions to the porters and the patient about what I was concerned about, and what to do. Unfortunately at the hospital, despite my instructions, they only performed a chest X-ray (no ECG/bloods) and discharged him, where he continued to suffer from chest pain – he flew back to the UK for further management and was okay – but that is a different story! There was then another participant who was struggling with the physical aspect of the climb – the final 1000m is very steep scree slope – and I sent her back as we could not keep stopping in the weather conditions. Next, one of the participants developed moderate acute mountain sickness symptoms and was too unwell to continue. I treated her and sent her back to camp with guides to look after her and more instructions over her care. By this time, we had stopped the group several times to deal with medical problems, and I now had two participants with hypothermia – one had a temperature of 32 degrees and was becoming confused and stripping. I was not going to be able to re-warm them quickly on the summit walk, so I asked the guides to evacuate them back to camp to re-warm and look after them. One of their friends went back with them at this point - morale was low and weather conditions were horrible. Close to the top, I got a radio message from the leader to say that she had treated and sent back a gentleman who had started losing peripheral vision in one eye and was getting flashers and floaters in his eye. She had (probably correctly) suspected some form of oedema compressing something in the eye and had treated with dexamethasone and acetazolomide and descended him. His vision returned to normal back at camp and after treatment. 50m from Stella Point (the first summit), I sent down the ninth participant, who was unsteady, confused, breathless and exhausted. I was not sure exactly was was wrong but treated him for possible cerebral oedema and evacuated him with instructions to the guides. From further investigation back in the UK, it turns out he had been going into atrial flutter – not something I could have diagnosed at the time! Only 19 out of 28 (roughly two thirds) of the group sumitted Kilimanjaro on our trek. Many companies (especially the local ones rather than the UK-based ones) have higher ascent rates but had a medic (or very experienced expedition leader) not been there and some of those participants had been pushed on, I feel that they would have been risking their lives and I am confident that I made the right decisions to sent them down, despite their disappointment. During this time, I did not get time for a break or food, because I was managing medical problems and also trying to manage my group (who the guides kept pushing on despite my clear instructions!). Without a leader at the front to manage the rest of the group, I was having to run up and down to keep people safe and together – not a good idea at that altitude! Thankfully, all of our participants recovered on the way down and the company I was volunteering for were very supportive of our decisions. In hindsight – with a group this size, we needed at least two leaders and probably two medics as well. 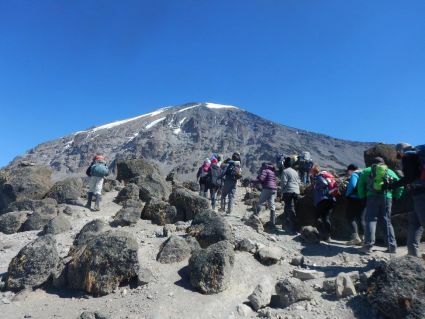 Many of the group had unrealistic expectations of summiting, despite poor training and fitness levels and I would advise any medics considering volunteering as a Kilimanjaro doctor to think carefully before going. If possible, look for good leader/medic ratios, a longer ascent profile and an ethos of safety over summitting! 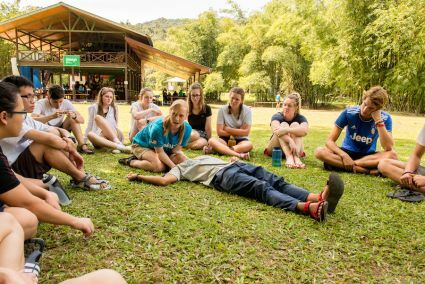 I relied on my ML experience as well as my medical experience for this trip more than any other I had done – this is why I would recommend it to any budding expedition medic. Try and get some significant high altitude experience yourself (for example, do a Kili run as a participant first) and get as much prior remote experience as you can so that you can be comfortable making critical decisions in such a hostile environment. I’ll be 38 – so hopefully will have finished my anaesthetics training! I am keen on pre-hospital care, so perhaps I would have done the PHEM subspecialty and be working in pre-hospital settings as well as in hospital. I’d also love to work on some more (and more challenging) expeditions and perhaps some humanitarian work, so will continue trying to gain experience and keep my eye out for opportunities around the world. I’ve always fancied working for Mountain Rescue as well! What lessons can you share with those wanting to become an expedition medic? Be persistent – it took me lots of emails and months of waiting to start getting offers for expeditions. Some of the better ones to start with would be Raleigh International (although they charge a lot of money!) or Operation Wallacea. Once you’ve done one or two of these, more opportunities start opening up. Good websites for ideas are Explorers Connect, World Extreme Medicine and Adventure Medic. You’ll need to be flexible – often expeditions will come up at the last minute. It would be very hard to get started in expeditions whilst working full time. Look for companies who will pay your expenses as much as possible – the costs can add up (medical indemnity, kit, vaccinations, travel to and from the airport and visas are often not covered). It is generally your duty to check the medical kit list before you set off – make sure that you are happy working with it! The best companies are ones who have a medical advisor (usually a consultant or experienced expedition medic) back in the UK who will provide emergency advice and support you in case of problems, as well as checking the medical screening for participants on the expedition. This provides the cover and support you may need in case of a difficult situation and will help you in terms of indemnity. 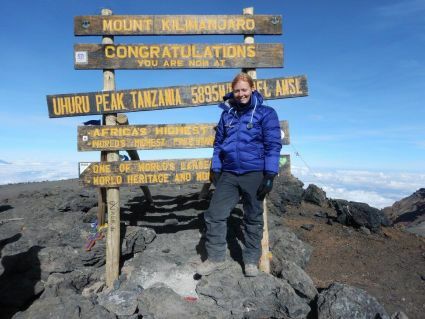 Be cautious about signing up for Kilimanjaro treks without previous high altitude experience. It is often the first expedition offered to new expedition doctors but I ended up working extremely hard looking after the group (with multiple medical problems) whilst having to cope with the altitude myself – you need to be okay at altitude as well as confident in making serious decisions by yourself up the mountain! Make sure you’re comfortable with your A&E and GP – most common cases are bites, rashes, stings, wounds, coughs and colds, faints, heat exhaustion, D&V, tropical diseases and ankle injuries. Unusual to have serious stuff unless in extreme environments and often the most dangerous incidents that occur are RTAs! Give us a mountain tip! I was told by one of my Mountain Leader trainers to always have a basic medical kit with me in the mountains: “something to splint, something to cut and something to stick” and I’ve followed that advice since (and needed it!). I’d always bring walking poles, a knife and duct tape wherever I go! Many other things (e.g. bandages) can be improvised! Thanks Heather for speaking to STDZ!